Of all the inflictions that plague our tender skin, acne may be the most perturbing of all. According to statistics from the Acne Resource Center, nearly 95 percent of people will experience acne at some point in their lifetime. While an acne-ridden complexion tends to be a characteristic we associate with hormonal youth, splotchy skin hardly discriminates by age. Roughly 50 percent of adult women are currently burdened with some form of mild to severe acne, compared to 25 percent of men. And just about 2 percent of adult women will continue to battle pesky pimples well into their 40s. Just as prevalent as the number of Americans inflicted with frustrating acne are the vast amounts of emerging – and expensive – over-the-counter skin clearing products filling drug store aisles. Although those flowery-smelling topical lotions are likely to make your complexion smooth as butter, more often than not, these trendy creams do little to combat acne at the source. Take a look at the ingredients list to a number of over-the-counter acne products, however, and you’re likely to find a key ingredient in a sizable majority: aloe vera. Although aloe vera gel for acne certainly isn’t a cure-all, it can help substantially in the overall clearing and rejuvenation of acne-ridden skin. Here are some of the primary benefits and key tips associated with using aloe vera gel for acne. Although acne is, for the most part, a result of your parent’s genes, another culprit to the problem lies in the kinds of treatments you’re putting on your face (or a lack thereof). Although aloe vera gel for acne doesn’t contain the kinds of necessary topical ingredients you find in prescription acne medication, it can help to start rebuilding and replenishing the skin’s natural oil production and cleanliness. Aloe vera gel for acne helps to soothe the skin naturally. Aloe vera gel extracted purely from the plant contains a medley of skin-rejuvenating and protein-building amino acids and essential vitamins and minerals. Even if the gel does doesn’t directly remove zits, it can help to establish a clear, clean foundation for your skin. Aloe vera gel for acne can help to alleviate itchiness associated with clusters of pimples. Although acne is undoubtedly frustrating, the lasting marks scratched zits can leave behind are substantially worse. 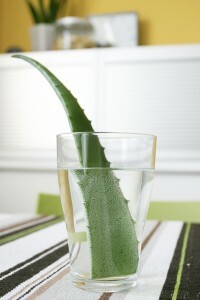 Aloe vera for acne can help to alleviate any soreness or itching associated with pimples. 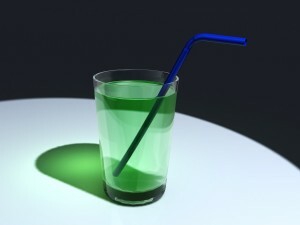 Aloe vera gel for acne helps to stabilize pH levels and establish an even tone. Although pimples tend to leave a bump, the reason why they’re most visible is due to the irritation and redness associated with acne. Aloe vera helps to balance pH levels in the skin to help even tone. Aloe vera gel for acne can help to tighten pores. One of the primary reasons for acne is dirt becoming trapped and festering bacteria in open pores. Aloe vera gel for acne can help to minimize pore openings, helping to combat entering dirt. Aloe vera gel for acne is a thorough cleansin g agent. Along with its tremendous soothing properties, aloe vera gel for acne also helps to clean dirt particles and bacteria remnants off the face – a key culprit for pesky zits. When applying aloe vera gel for acne to your face, always be sure to cleanse thoroughly with mild soap and water first – this will allow the plant’s juice to penetrate your pores more quickly. Although you can certainly leave aloe vera gel on your face for a substantial period of time, make sure it’s only overnight and is comprised of a very thin coating.